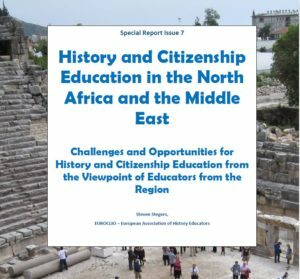 The project consisted of a week-long professional development course for 30 history and citizenship educators from Egypt, Jordan, Lebanon, Morocco, Palestine and Tunisia coordinated by EUROCLIO, the European Association of History Educators in partnership with the Lebanese Association for History. This event built the capacities of participants to teach innovative and responsible history education with a focus on developing historical and critical thinking skills amongst students. This transnational capacity-building course fostered long-term cross-border communication and cooperation in the region and offered opportunities to share and compare practices with colleagues from Europe. Coinciding with this course, there was a stakeholders meeting with official representatives of intergovernmental and non-governmental organisations on future steps for regional cooperation on history education. The project brought together a group of education practitioners who critically reflected on the current challenges, opportunities and good practices in history education in their respective countries. At the same time they came to realize that they face many similar or even common challenges and opportunities and they showed a strong willingness to work on these on a regional level. The trainings on methodological innovation were a unique and important opportunity for all as it reinforced their willingness to use innovative and learner-centered approaches in their teaching practice. 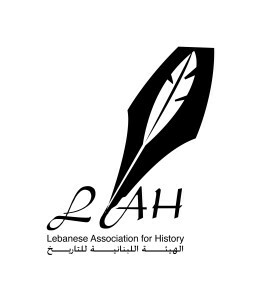 The project also reinforced the professionalism of the newly created Lebanese Association for History and empower history education professionals in other countries of the region to activate and extend similar networks. The overall objective was to support the sustainable development of high-quality history education in Egypt, Jordan, Lebanon, Morocco, Palestine and Tunisia through capacity building, stakeholders involvement and training on methodological innovation. Establishment of regular communication and collaboration between history educators in the region, including through exchange visits, etc. Professionalisation and internationalisation of the Lebanese History Teachers’ Association. Improved dialogue between civil society actors, policymakers, researchers and practitioners in the field on national and cross-national level. Special Report on Teaching History in North Africa and the Middle East, The Hague, 2012.